All appeal applications will now follow a revised online process. This will be effective from the 26 January 2019. 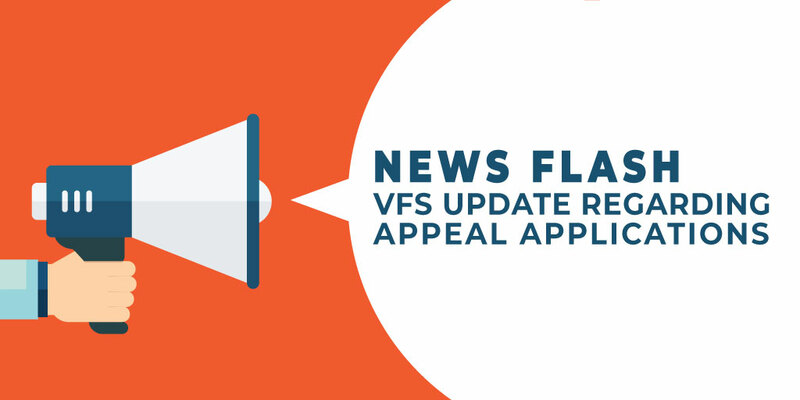 Applicants will only be able to apply for an appeal application once their previous application has been collected from the VFS application centre. Applicants will only be able to submit an appeal application within 10 days of collecting the rejected outcome. Applicants can only appeal once under the appeal category 8(4) and if rejected for the second time they will have one last opportunity to submit a final appeal under appeal category 8(6) which is then submitted for the review of the director general.